Old Computer? Think It’s Junk? – Give It One More Chance! If you’re in the market for a new computer it’s probable that it’s due to one of the following. Your computer takes a long time to boot and operates slowly. Your Internet experience is slow. I test new software on an almost daily basis, and I do some of that testing on a Dell OptiPlex 110 with 512 Meg of memory, running Windows XP Professional. Surprisingly, this is a 6 year old computer and 90%+ of the software and Internet testing that I perform, runs smoothly and adequately on this platform. So keep in mind that for everyday work, word processing, spreadsheets, e-mail, and general Internet surfing you don’t need the latest, greatest, and most expensive computer. If your current operating system is Windows XP (and 90% of us run XP), read the requirements that Microsoft set out as the minimum requirements for a computer to run Windows XP when the operating system was released. 1.5 gigabyte (GB) of available hard disk space. I have seen, even quite recently, machines which meet only these minimum requirements satisfy the needs of their users. This article is not all encompassing, but let’s take a look at some of the alternatives you have before you replace what may be a perfectly functional computer which meets your current needs. 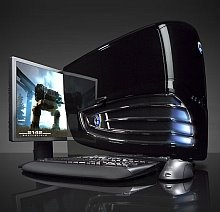 If you do decide however, that upgrades to the system are required, a good rule of thumb is to purchase a new system if the upgrades total 50% or more of the cost of a new computer. PCs don’t slow down without a reason. All computers have characteristic operating patterns that lead to predictable, but preventable issues. 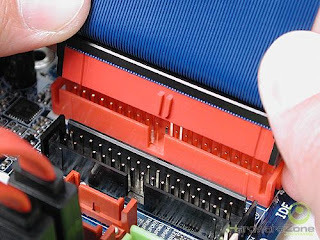 Simple maintenance, practiced regularly, which is easy even for a non-expert, can keep an older PC running smoothly for years. Disk fragmentation, especially on intensively used systems, will degrade performance over time. 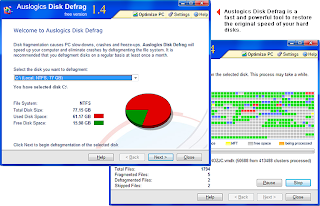 This is a good task to automate by using a third-party tool like Auslogics Disk Defrag. This application is free and it does a great job. The program is extremely easy to use, does not require any analysis phase and is faster than most disk defragmentation software I’ve tested in the past, and it’s free. In my view, it’s one more maintenance process in helping me get the maximum performance out of my hardware. A full Hard Drive will not function efficiently since you require at least 2 – 3MB of free space for programs to run smoothly. If you lack this much free space, you should uninstall unused programs on your primary drive. Revo Uninstaller is a superior program for uninstalling programs from your computer. This free program with its advanced and fast algorithm scans before, and after, you uninstall an application. After the program’s regular uninstaller runs, you can remove additional unnecessary files, folders and registry keys that are usually left over on your computer. This feature is a definite plus. Running a Disk Cleaner will optimize systems by emptying the Recycle Bin, Temporary Setup Files, Downloaded Program Files, Temporary Internet Files, Old Chkdsk Files, Temporary Files, Temporary Offline Files, Offline Files, and so on. For a full and through cleanup, I highly recommend CCleaner. As well, you should consider copying archived files such as pictures and music, to CD’s or DVD’s to free space on the Hard Drive. Even the fastest Internet connection is a lot slower than any relatively modern PC, so make sure your Internet settings are properly optimized. 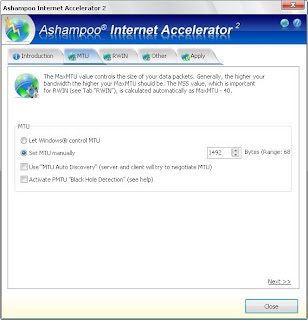 Ashampoo Internet Accelerator 2 is an excellent free Internet connection optimizer. A slow Internet connection costs time and gets on your nerves. So, taking the time to optimize the settings is considered a must. Ashampoo Internet Accelerator is a great little application that makes it easy to perform this simply task. 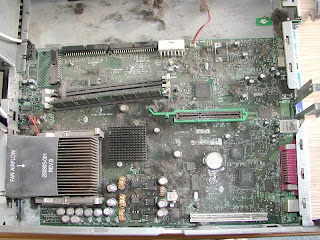 Keep your computer clean and dust free and perform a periodic full system cleaning. 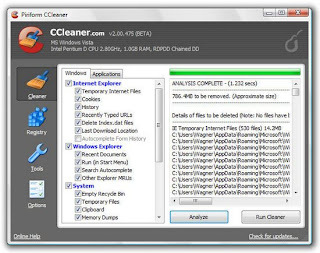 Elsewhere on this Blog there is a comprehensive article on cleaning your computer. Check out “Save Your Money – Spring Clean Your Computer”. High heat and dirt are definite killers of system components! Just recently I had to replace a CPU on a client’s machine due to restricted airflow caused by dirt on the CPU fan. Open the system and verify that all connections feel solid and are placed correctly. Double-check any accessory cards for a snug setting and good connections. Make sure cable tensions are appropriate. Having too much strain on a cable or connection can damage the cable, device, jack/node, or the computer. Be sure that there is plenty of slack in the cables on the device and computer ends. Excess strain may cause intermittent performance issues. It’s possible of course, that the performance of your computer has been adversely affected by malware infections. If you believe that’s the case read my article on this Blog, The top 10 best free security applications your security toolbox can’t be without! Once you have removed system-clogging clutter, ensured your Internet settings are properly optimized, are satisfied your system is not infected with malware, and performed the other simple maintenance, your old PC might just surprise you with its capabilities. Pingback: » Old Computer? Think It’s Junk? – Give It One More Chance! Thanks for the info – checked it out and found it to be very interesting. Pingback: Old Computer? Think It's Junk? – Give It One More Chance! « Bill … | Computer Internet and Technology Articles. Bill, We can also Re-purpose the computer. Linux is much less demanding on an OS even with the extra GUI addons. Plus you can setup an older machine to act as Network Attached Storage (simple dll mods can setup XP Pro to support Raid-5) or use pre-canned Linux builds. The list for an older machine is endless of what it can be used for: Firewall, proxy, etc etc. Fun stuff for sure. I’ve donated some of my older machines to a small private school and also a home for boys. You can setup a unit using only public software licenses and avoid a lot of issues. Plus you feel good about not getting rid of a machine you know has plenty of life left and also you get to help others. As usual, you make some great points. Particularly intrigued by the idea of the Firewall. I like the donation idea as well and in fact, I get involved in this every year usually around Xmas time. Great article Bill, I have been impressed with how well Win 7 runs on older hardware. Thanks. Gotta admit, Win 7 is just amazing. It surprises me virtually every day. I definitely agree with this article. I recently restored a friend’s older Gateway desktop. The PC would not boot and was given to him for free. I used a copy of the XP recovery console that I keep on disc to fix the errors on the drive, then defeated the various infections. After a good scandisk and defrag, the PC ran like new. My friend was shocked to get back a computer that was faster than his newer (probably spyware infested) XP Pro machine. I had to wonder how much perfectly good hardware gets thrown out every year. Thanks Max. Great story that proves the point. Like you, I often wonder how much serviceable hardware gets discarded.